The red and white crenellated walls and golden domes of Novodevichy Convent make it one of Moscow's most attractive monasteries. Novodevichy, or "New Maidens Convent" in English, was founded by Vasily III in 1524 to commemorate the recapture of Smolensk from the Lithuanians in 1514. The convent is rather like a miniature Kremlin, built as a fortress In the bend of the Moskva River, became an im portant component of the capital's southern defence belt which consisted of the Donskoi Monastery, the Monastery of St. Daniel, the Monastery of St. Simeon, and other cloisters. The fortress-convent played a part of some consequence in the struggle against the Tatar conquerors and the Polish invaders. As you can read in the comments on either side of this testimonial, Arthur's many clients have been so satisfied and enthusiastic about his services that they seem to compete to articulate the best and most impressive recommendation of his services. We will not be an exception. Arthur was outstanding as a tour guide, driver, photographer, and translator. We saw the most important sites in Moscow and outside of Moscow. One of the highlights of our trip was Moscow by night which was an incredible introduction to this beautiful city. With Arthur’s help, we saw sites that are rarely available for viewing such as the Kremlin Palace. In addition, Arthur also showed us sites that are rarely visited such as the Gorky House, Tolstoi House, Chaliapin House and Scriabin House, which gave us an insight into how famous Russian writers, opera singers, and composers lived. All of these visits made our tour of Moscow richer and more insightful. Arthur seems to know every street in one of the largest cities in the world, and every shortcut to avoid the many traffic jams in Moscow. With his knowledge of Moscow and a genuine desire to satisfy his clients’ wishes, Arthur assured that we made the most of our time in this exciting city. 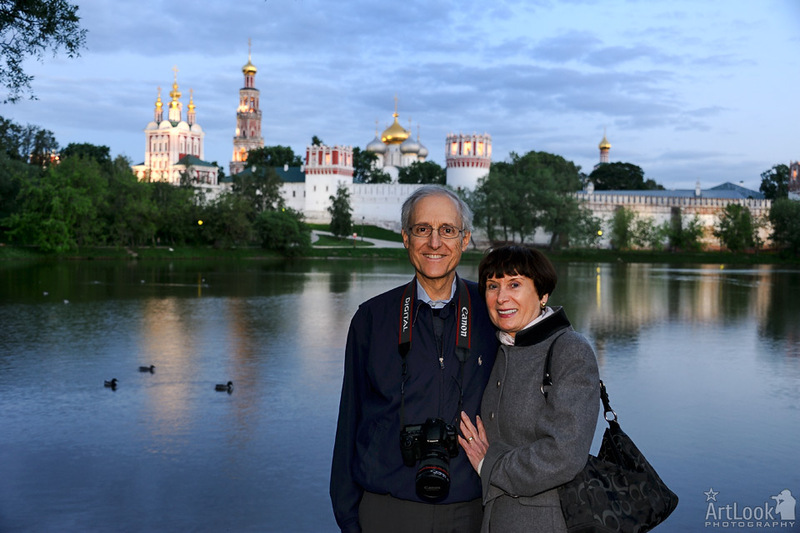 As an avid photographer, he documented our entire visit to Moscow with photos that we will treasure for the rest of our lives. And finally, Arthur’s extensive knowledge of art, architecture, history, and religion enhances each tour. We strongly encourage anyone interested in an in-depth tour of Moscow to consider Arthur because he will exceed your expectations.